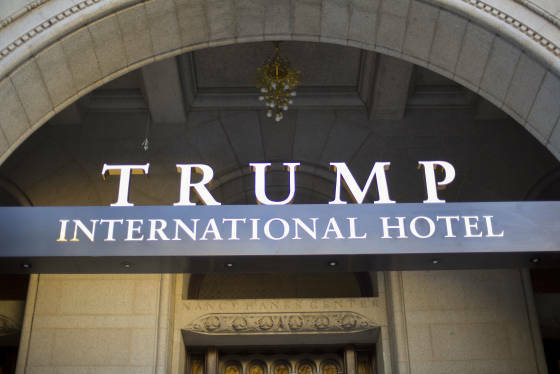 WASHINGTON (AP) — The Trump International Hotel in D.C. was briefly illuminated with projected messages in an act of protest this week. 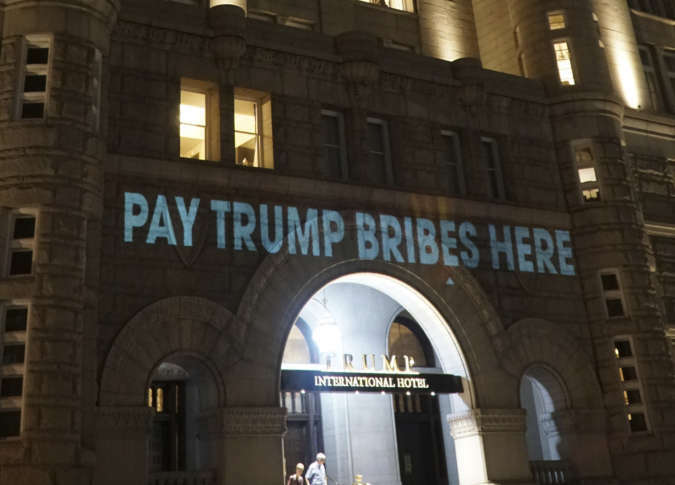 Robin Bell, a Washington-based artist and filmmaker, says he used a video projector to splash words — including “pay Trump bribes here” and “emoluments welcome” — across an entrance to the hotel on Monday night in protest of what he called President Donald Trump’s foreign ties. He says the projector ran for about 10 minutes before a security guard asked him to stop. The hotel has been a popular spot for protests since Trump took office.